Actor Leonardo DiCaprio has withdrawn from negotiations to play Steve Jobs in Aaron Sorkin's upcoming film about the late Apple co-founder, according to The Hollywood Reporter. DiCaprio was set to begin work on the movie after finishing work on The Revenant, but sources close to the actor have said that he plans to take a lengthy break soon. Now with DiCaprio out, the studio is eyeing a number of actors to take on the iconic tech figure, who has been both worshipped and reviled. Christian Bale, who Fincher wanted for the title role, is on Sony’s wish list, as is Matt Damon, Ben Affleck and Bradley Cooper (though Affleck seems unlikely given that he just signed on for the thriller The Accountant). 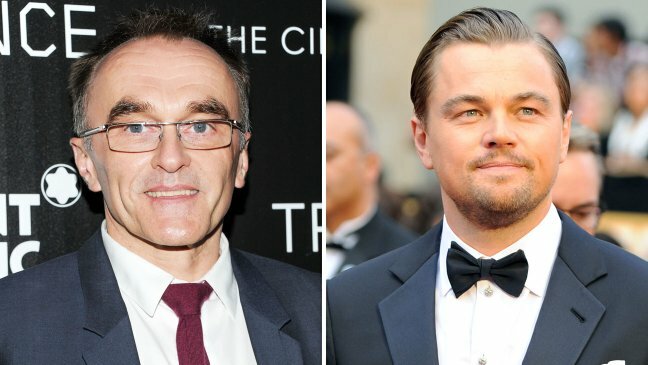 The report also notes that the movie will be directed by Slumdog Millionaire director Danny Boyle, who was said to be in talks with Sony Pictures this past April. According to information shared by Sorkin, the film will use material from Walter Isaacson's Steve Jobs biography and will focus on three 30-minute scenes showing three of Apple's product launches. Apple co-founder Steve Wozniak is also working as a consultant on the film. Aaron Sorkin's Steve Jobs biopic has yet to receive a release date. Surprised by all of the DiCaprio hate. He is one of the better actors out there. ...reminds me of tom cruise hate. Their personal life may be strange, but they are great actors and have great roles. Do we really need ANOTHER Jobs movie? I am sick of all this type casting, with only white men being short listed for the role. Whoopi Goldberg would be perfect for the role, she is well loved and renowned for sister act (1 and 2) and even has a jewish sounding last name. Thank God, he's a putz. Man I don't know, this movie sounds like a mess waiting to happen. Directors and main actors being swapped out is usually not a good sign. Especially since apparently the studio kicked Fincher at least partly because of his demands for control. That's what a director is supposed to do, it reeks of studio meddling and will probably end badly. Darn... he doesn't look much the part, but he acts real well. Aaron Sorkin is an amazing writer and I'm excited to see what he's done with this script. If he can make a movie about Facebook interesting, then he can certainly do the Jobs story correctly. Sorry, but most of the movies he was in were just awesome, playing very different characters. So get over that Titanic ******** that still comes to your minds when his name is dropped. I'm pretty sure he would have done an awesome job.